Join us May 5th for our annual FREE COMIC BOOK DAY sale! Everything in the store will be 20% off except “New Comics” and previously discounted merchandise. Chris Haley of Let’s Be Friends Again fame will be autographing copies of his new Boom comic Captain American Idol #1! 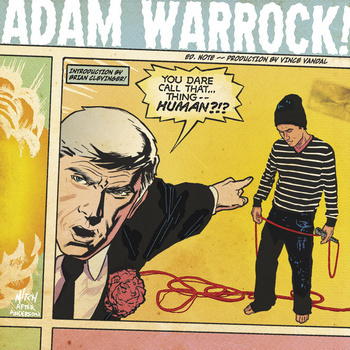 Comic and geek themed rapper Adam WarRock will be selling and autographing copies of his new album You Dare Call That Thing Human? After the store closes at 7PM he will perform a free show, so don’t miss this special event! Patrons get one free FCBD comic just for showing up and a purchase entitles you to one of each of the specific FCBD titles.